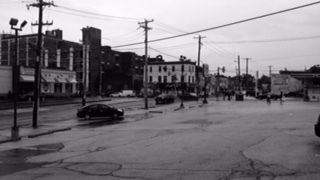 Previously I wrote about the 33 bus traveling through the community that I called home for the first half of my life. This is part two of the 33 journey. The bus dips into downtown Philly and enters the shadow of what resembles the ancient Egyptian pyramids. Like the pyramids, these buildings are reserved for the powerful and ‘god-like’. As a kid riding the 33 bus I wondered who occupied these buildings. Not too far from where economic power resides the 33 brushes against the political power structure of Philadelphia. The king’s court is open for the people–‘hear ye, hear ye’. Many find justice in these downtown court houses but for many this is just a doorway into system. The sad reality is that the system has been waiting for the young, black and feared and has apportioned a place for them well in advance of their arrival. The work of creating an oppressed underclass begins early on through the creation of invisible boundaries. These boundaries are not quite like a glass ceiling–its more like a circus cage with breathing holes. This bus curves toward Market street where commercial retail presents itself as a fresh opportunity. The question is whether its an opportunity to shop or to own? For most riding the 33 bus, its only been about shopping. Shop for some fresh sneaks, Indian hair or a gold chain or maybe yet another tat. Its like putting a coat of lacquer on a damaged wood floor–while its wet it looks great, but after the illusion of progress is gone the dangers still exist. Many poor people love the momentary relief that new stuff brings. The reality is that rich folk also love the momentary bliss that new stuff brings. We all want something tangible that will give us status or notoriety. We struggle for the acceptance and admiration of our peers. The shop owners that spread along Market Street are first or second generation immigrants who have come for a better life–God bless them. Its unfortunate that assumptions have been made about them and their culture and ethnicity. Philadelphia has become the dwelling place of peoples from all over the world. There is diversity, but not a lot of cohesion or cross-cultural understanding of the ‘other’. The lack of understanding can even lead those new to these shores to attempt to assimilate into dominant culture. There is one stop on this route that I’m conflicted about. At 5th and Market Street is probably ‘ground zero’ to the most important piece of the American historical narrative. Independence Mall and the Liberty Bell represents the best that the US has to offer. This is such a dichotomy because many of those who cried out for independence from tyranny were perpetrators of tyranny and oppression themselves. In fact, slave quarters were found at this location and through court order an additional exhibit was required and constructed to tell the stories of forgotten black slaves of our Founding Fathers. Yes, for those who’ve come to Philadelphia with a sanitized version of how this country came into existence, there is medicine. Does this bus route accurately communicate what this city is all about? 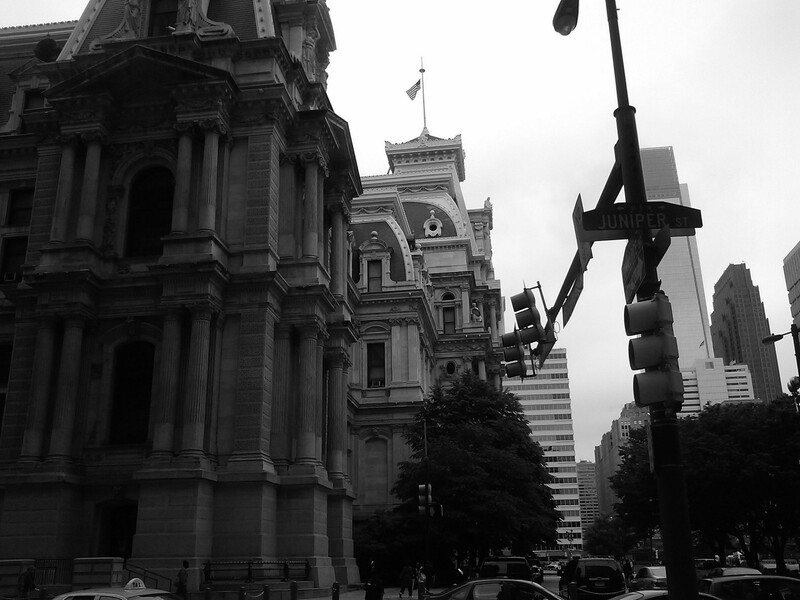 Its starts within the impoverished environs of North Philadelphia and ends in the bourgeois of Old City Philadelphia. There are things that we wish to push under the rug; the disparity between the rich and poor, a lopsided educational system, the school to prison pipeline, poor residents being displaced in favor of the young professionals who no longer want to sit in traffic on I-76. I challenge you to take this bus route that I have taken hundreds of times before and you tell me what Philadelphia is all about. The commitment to riding a bus that crosses socio-economic and racial boundaries may help to form a true missional paradigm. I would caution you, God may break your heart, but not where you presume. My prayer is that He would break your heart on the second leg of the ride. This is the part of the journey where passengers generally breathe a sigh of relief however, there is a distinct connection between these two places which seem worlds apart. Both shows signs of sin and therefore both require the shalom of God. Missions is everywhere because all have sinned. Progress is not necessarily the absence of dilapidated buildings, single parent households or empty drug vials. Progress is the absence of oppression and disparity and the presence of hearts committed to communal peace under the reign of Christ. The people of God, under the direction of the Spirit of God is the hope of Philadelphia.